When WWI started, the size of the German army and its strategy of marching through Belgium took the French and the British by surprise. The German army had nearly reached Paris when a counter-attack caught it over-extended and it was forced to retreat. After a month and a half of desperate fighting, the Allies and the Germans built lines of fortifications that stretched across Europe from Switzerland to the Belgian coast. These lines would change little during the next four years. The United States had remained neutral until the spring of 1917, when Germany began sinking American ships with the goal of starving Britain. Despite his repeated pledges to stay out of the war, President Woodrow Wilson was forced to seek the permission of Congress to declare war on Germany on April 6, 1917. Limited by a small, peacetime army, the United States would not play an active role in the war until the following spring. However, the American Expeditionary Force had more than 650,000 men in France by June 1918, enabling the exhausted Allies to take the offensive against the Germans. The American army had responsibility for the Meuse-Argonne Front, which included the impenetrable Argonne Forest. During the offensive, an entire battalion was cut off from American lines and trapped within the forest. Expected to have been destroyed or captured, the battalion was called the Lost Battalion but it was finally relieved after five days, although less than a third of the men were able to walk back to American lines. As part of the Meuse-Argonne Offensive, two American divisions and one French division will clear the Germans out of the Argonne Forest. Major Charles Whittlesey (Rick Schroeder), commander of the 1st Battalion of the 308th Infantry in the 154th Brigade, protests that the area is a deathtrap, but his opinion is dismissed since he was a rich lawyer in New York before the war. The battalion breaks through the initial line outside the forest on October 2, but the rest of the division’s attacks have stalled, leaving it dangerously exposed. Whittlesey tells HQ that he has no support on either side, but Major General Robert Alexander (Michael Brandon), the divisional commander, lies and says that the other units are already ahead of him, so he must take casualties and push on. The next day, the battalion loses contact with HQ, so Whittesey has to rely on carrier pigeons to communicate. The arrival of a company from another battalion that had also gotten lost provides desperately needed reinforcements, but the battalion is still being ground down by the endless attacks and sniper fire. Aware that his men are starting to lose hope, Whittlesey tells his officers that it is important that they continue to be a threat since the Germans are focusing so much effort on them. Meanwhile, reporters have started referring to them as the Lost Battalion. When he requests artillery support on October 5, the shells land on their position, so they send their last pigeon to tell HQ to stop the shelling. Each attack weakens the battalion, and the Germans are mystified why they have not surrendered. Several American prisoners are interrogated by Major Heinrich Prinz (Joachim Paul Assbock), the German officer in charge of the battle, but their defiance only confuses him further. Whittlesey refuses to surrender even though he has less than 200 men left. The few survivors are about to be crushed when they are finally relieved after five days of non-stop fighting. The script follows the overall chronology of events, and some scenes are quite faithful to the real events. Some scenes are exaggerated, which is fine. Some scenes are outright lies, which is far from fine. The actual situation of the Lost Battalion is presented correctly. In the Argonne Forest, organized fighting was impossible and artillery useless. Small units of soldiers navigated their way by compass through the forest, while under fire from hidden snipers. German troops let the Americans advance and then cut them off, so the men had been ordered to hold on whenever they were surrounded since they would thus become a forward position. However, the real Whittlesey did not claim that his assigned target was suicide, although he did protest that his men were worn out and needed rest, but he was hardly unique since almost everyone was exhausted by that stage of the war. During the first day of the offensive, Whittlesey reached his objective but discovered the next morning that his battalion was surrounded. Carrier pigeons enabled communication with division HQ, but the division was unable to break through the Germans to reinforce him. When the Lost Battalion was finally relieved on October 7, only 191 men of the original 670 could walk back to American lines. I will start with the faithful scenes. It may seem unnecessarily gruesome that the medics remove bandages from the dead for the wounded, but the real medics repeatedly re-used bandages because they had quickly run out of fresh bandages. The battalion was mistakenly shelled by American batteries, and Whittlesey did use Cher Ami, their last carrier pigeon, to tell HQ to stop the shelling. An exaggeration is a scene where a plane finds them but the pilot is wounded, and lives long enough to land at his airfield with the battalion’s position marked on a map. Actually, the air force knew the battalion’s basic location and even dropped supplies. Unfortunately, they fell in German-controlled areas. While exaggerations are acceptable, the depiction of General Alexander as a manipulator who deliberately lied to Whittlesey to ensure that he could tell his superiors that one of his battalions had reached its objectives is disgusting and unnecessary. I am honestly surprised that his family did not sue the producers. Moreover, the underlying theme that the battalion’s sacrifice played a key role in ending the war is simply silly. There were millions of men on each side, so one battalion would not be so influential. Trying to motivate his officers, Whittlesey actually says that they have to hold on because it might end the war, which is ridiculous. The soldiers were deservedly praised for their bravery and refusal to surrender, but they were simply trapped and were struggling to survive. Major Heinrich Prinz is based on Lieutenant Heinrich Prinz, a German officer who had been assigned to interrogate captured soldiers because he had lived in the United States for several years, but he was not in charge of the battle. The period detail is decent, especially for a movie on A & E, although the trenches are a bit too clean. 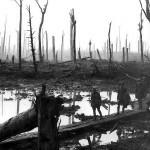 The shell-cratered landscape is pretty grim, nothing like the muddy hell in Passchendaele, but good. The key weakness is the location. The movie seems to have been filmed inside a municipal park on a sunny day, even though the real battalion had literally disappeared into a dark, dense forest that was an untamed remnant of earlier times. The battle scenes are well-choreographed chaos, so the viewer can follow the action. Everyone, especially the replacements, is nervous, just before going over the top. There is not much characterization but the soldiers’ griping is entertaining. In fact, the banter between two veterans, Privates Phillip Cepaglia (Daniel Caltagirone) and Jacob Rosen (Michael Goldstrom), a staple in war movies, is pretty decent. They seem modeled on two privates in A Walk in the Sun (1945), who also argued throughout the movie. A good scene occurs when Cepaglia and Rosen explain to recently arrived recruits all of the things they have to worry about but can’t do anything about like the different types of bombs, and the enemy soldiers, which they can do something about, usually with the sharp end of a bayonet. 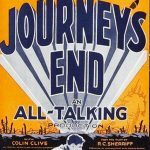 Although it is not the key theme of the movie, the script does acknowledge that the war drew men from all over the nation at a time when most men had never left their own state, or even the gone further than fifty miles from their home town. The lack of familiarity with other regions of the United States is illustrated in a scene where Lieutenant Leak (Jay Rodan), a Texan, struggles to pronounce the names of the immigrant soldiers from New York. Furthermore, social mobility was still restricted at the time, and Whittlesey admits that he would have never met the Irish, Jews, Italians and Poles who make up his battalion before the war but they are excellent men. If anything, the script underplays the multi-ethnic nature of the 77th Division, which had been formed mainly from recruits from the Lower East side of New York City. Members of the division spoke forty-two different languages and dialects. Aside from Ricky Schroeder, the star of the film, it is a cast of unknowns that remained unknown, which is a bad sign. They are all competent actors, who do their jobs well, but there are few memorable performances in the film. 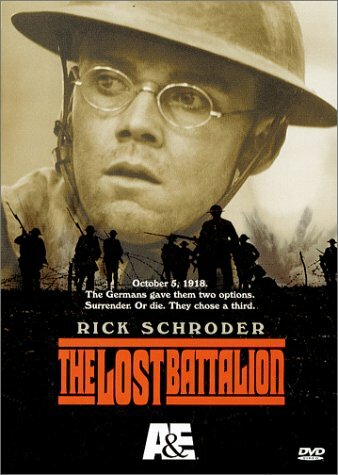 While it is relatively accurate, The Lost Battalion transforms a story of brave soldiers struggling to survive into a morality tale where the men are sacrificed by an ambitious general, but still manage to turn the tide of the war. I think you are a bit harsh. I have a much higher opinion of the film because I am amazed that it is as good as it is considering it was made by A&E. I think the accuracy is acceptable considering it brings a forgotten peripheral event to a mainstream audience. In that respect it reminds me a lot of “The Great Raid”. The action is surprisingly good for a low budget film. Much more graphic than I expected. There is one astounding special effect of a soldier being disintegrated by a shell. I show the attack across no man’s land to my American History class to help them envision a WWI attack. I think you overemphasize the Alexander/Whittlesey dynamic. Many war movies exaggerate the crassness of command. It’s pretty standard although not fair. I can accept it if the film was making a general statement of the incompetence of WWI command. The same could be said for exaggerating the importance of the event. I have a bigger problem with the cheesy dialogue than you do. I too caught the similarity between the Cepaglia/Rosen banter and Friedman/Rivera in “A Walk in the Sun”. You are right that the action was good for a television movie, but the decision to make the battalion the victim of the general’s deliberate lie is unacceptable. I am perfectly okay with showing incompetent generals in WWI movies, since most of them were surprisingly incompetent and stubborn. But the Lost Battalion simply found itself in a dangerous situation because of bad luck, and that should have been enough. Also, the script makes Alexander the cause, not the overall strategy of the senior generals. I would have given it a higher rating without the Alexander/Whittlesey conflict, and it would have been a better movie. 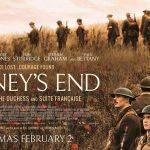 It is a pity since there are so few good movies on trench warfare in WWI. Anyway, I think that we are going to disagree on this one.